Adventure makes my heart soar high! I don’t really have to think twice about saying yes to adventure. Any chance to do something crazy, I’m in. Traveling is one of those things that taps into some place deep down in me. Traveling adventures make me feel alive in a way I can’t explain. Maybe it’s the newness of everything and everyone that makes the extrovert in me perk up. Maybe it’s the fact that anything can happen. It’s as if the illogical part of my brain becomes my normal thinking. Faith seems to feel real when I am able to step out of all things familiar and routines set aside. Traveling adventures enable an open door to new experiences and new possibilities. In fact! As you are reading this, I am experiencing life in the midst of my traveling adventure. 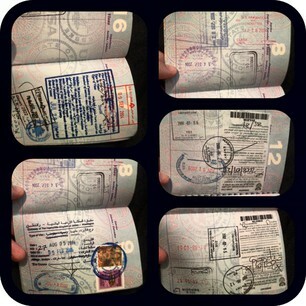 My passport has been stamped, and I am loving life. Right now, I am probably trying to capture some great Kodak moment or recording my experience through flip video. There is also a strong possibility that I am trespassing somewhere I am not “supposed” to be. Eek! This week could not have come soon enough. My tank has been on reserve and my patience less than existent. Going to bed early just taunted my need for more sleep. I am overjoyed that for a week I am not unavailable. For a week, I get to sit among people where I have no idea what is being said, but where a smile and laughter always translate. I have been ready to experience new food, new drink, new skies, new sunrises and sunsets, and new scenery that solidifies that God is so much bigger than I can comprehend. How do you best experience life?